When creating a new working group, it is often difficult to find the time to get to know each other. Especially when hierarchical positions are poorly established, or when strong cultural differences exist within the group. Communication problems can then arise. That's when you have to break the ice. Facilitate interpersonal relationships among training participants. Begin to build cohesion within the group. Encourage active participation and involvement of group members. Create a group dynamic that facilitates a caring atmosphere at the breasts of my group of learners. At the very beginning of a training session, for groups of people who know each other little or not at all. This phase is particularly useful when there is a heterogeneity of hierarchical or social position within the group. A sufficient number of tables and chairs. Preparation of a random draw of pairs of participants (optional). To know me better: My passion in life, my disgust or what irritates me in life, one or two important dates that have marked my life. If the trainer uses the guided presentations in the form of a tour de table, it is preferable that he introduces himself first following the presentation plan that he will have previously presented. This will "de-dramatize" personal questions and give participants some time to prepare. 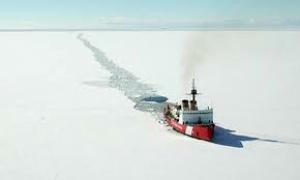 It is difficult to evaluate the effectiveness of an icebreaker. However, following an icebreaker the atmosphere of the group must seem more relaxed, more serene, less on the reserve. In the case of very heterogeneous groups, the use of guided round table presentations may be relatively anxiogenic and may require the use of pair presentations. The trainer then forms pairs of random pairs of learners (for example, he prepares papers in advance with numbers: 2 n°1, 2 n°2, 2 n°3, 2 n°4,... that he has the participants draw lots). Once the pairs are formed, he leaves 10 to 15 minutes for each pair to isolate themselves and for the participants to interview each other. He then brings the group into plenary and asks everyone to introduce the partner they interviewed. Be generally benevolent. Pay attention to the respect of the word of all and to the expression of shy people. Very unlikely. The facilitator can ask questions to encourage the person to introduce themselves.